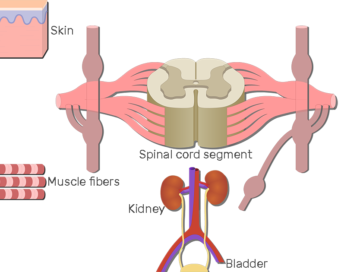 The spinal cord is made up of 31 segments. 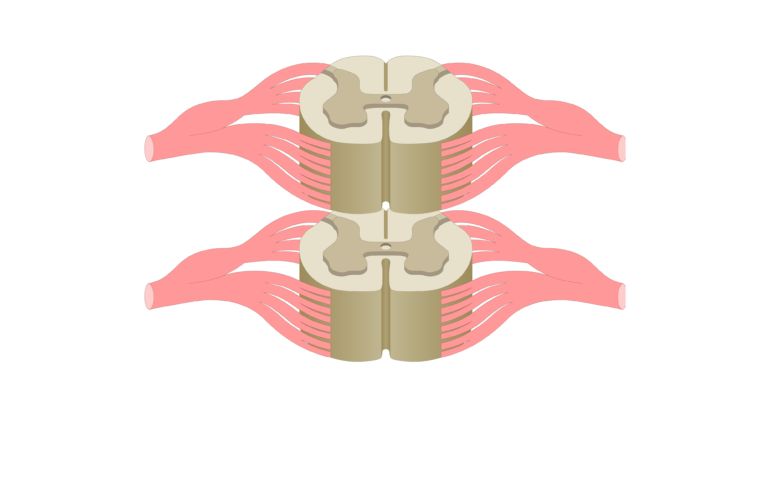 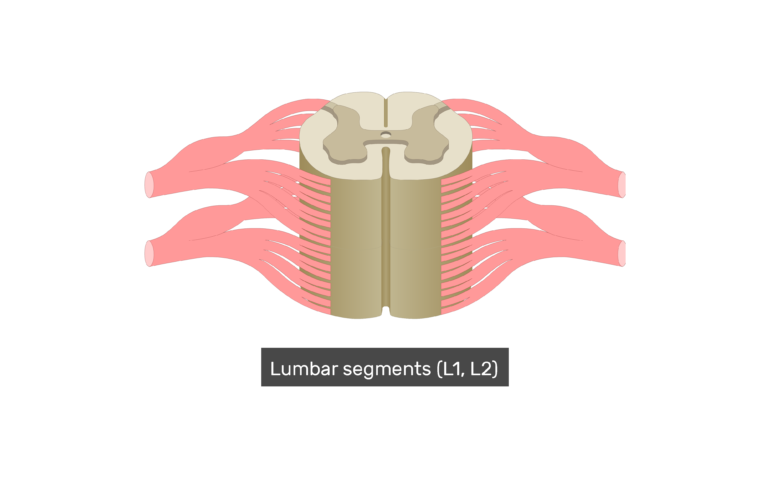 Each segment gives rise to a pair of spinal nerves. 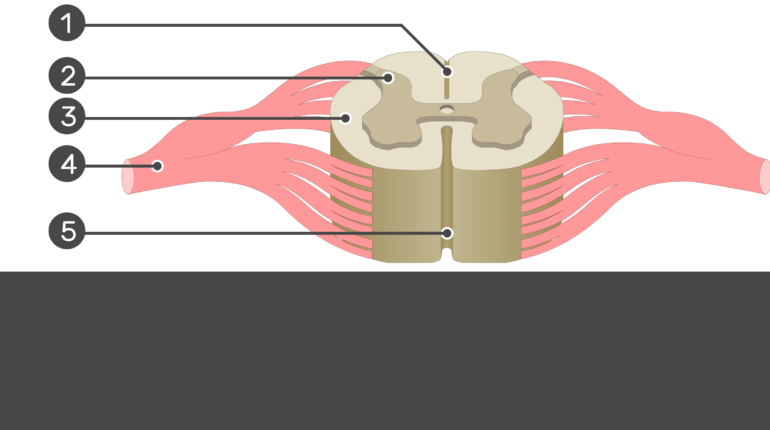 In cross-section (c.s. 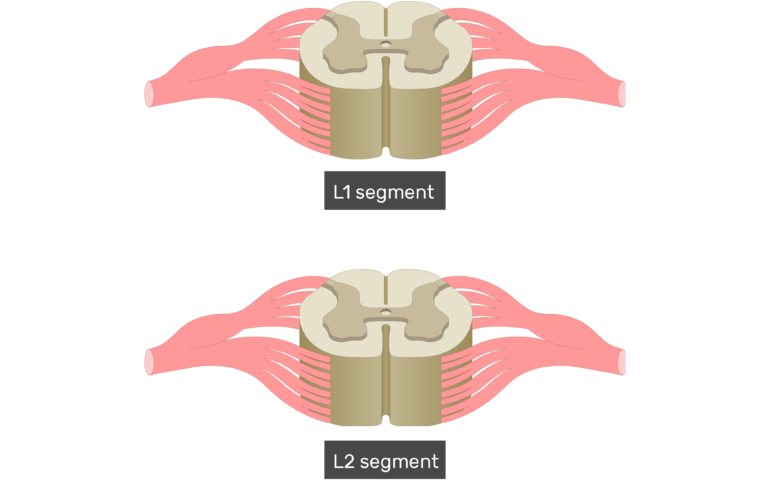 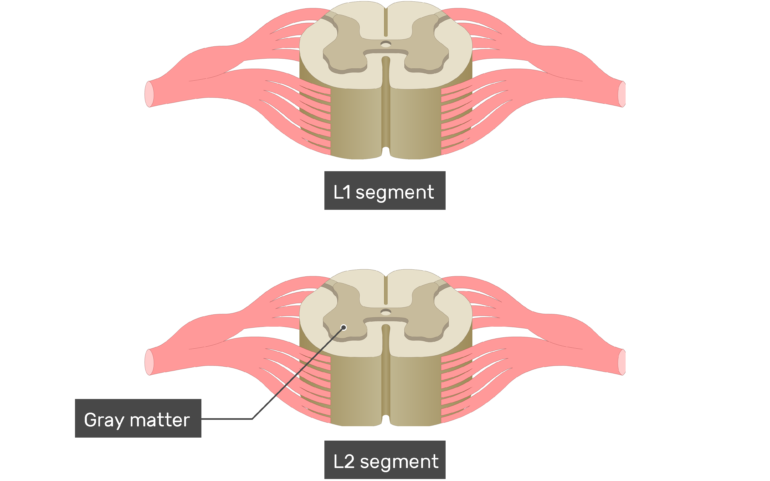 ), the segments appear to be divided into two zones. 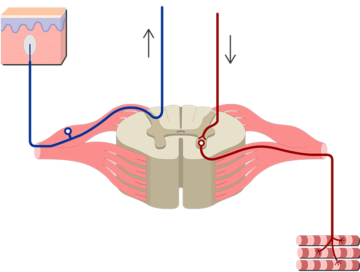 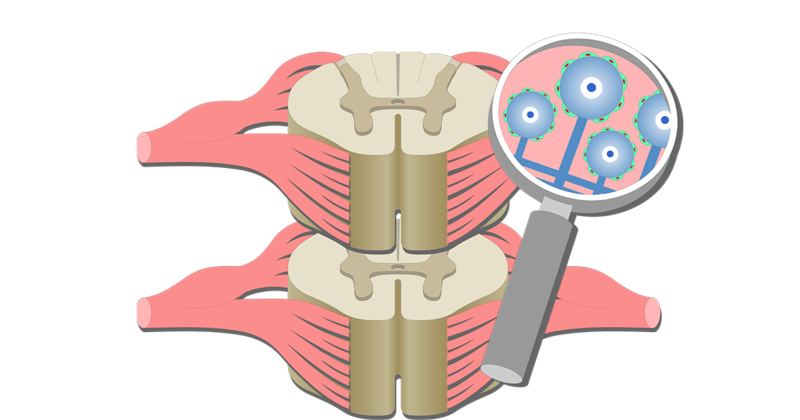 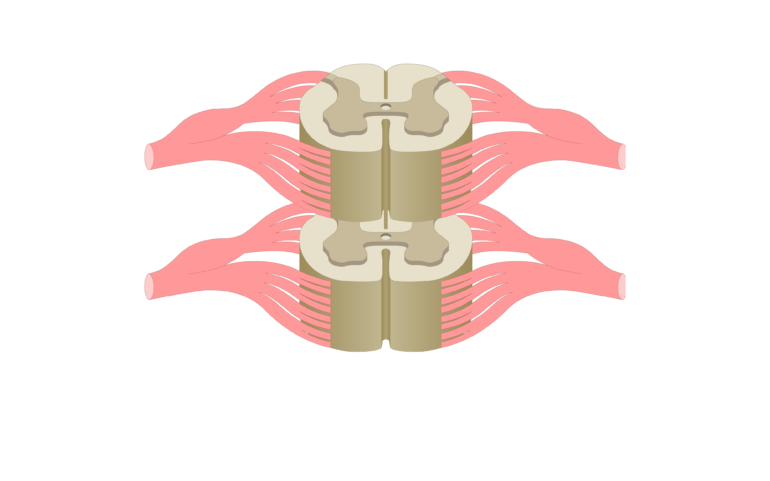 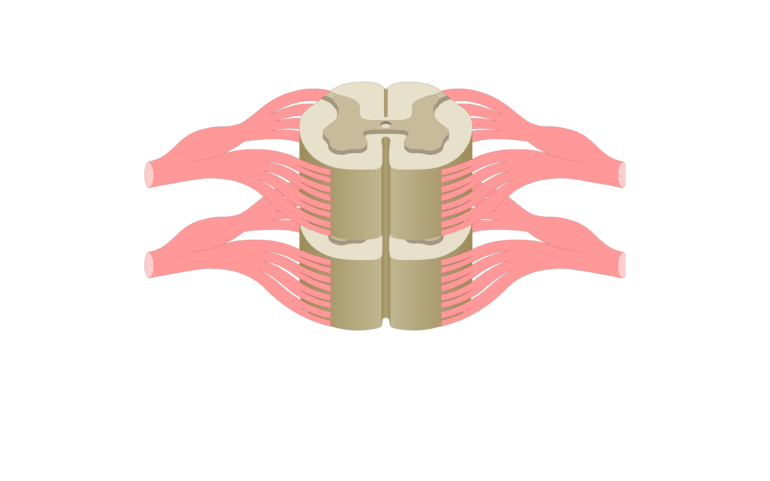 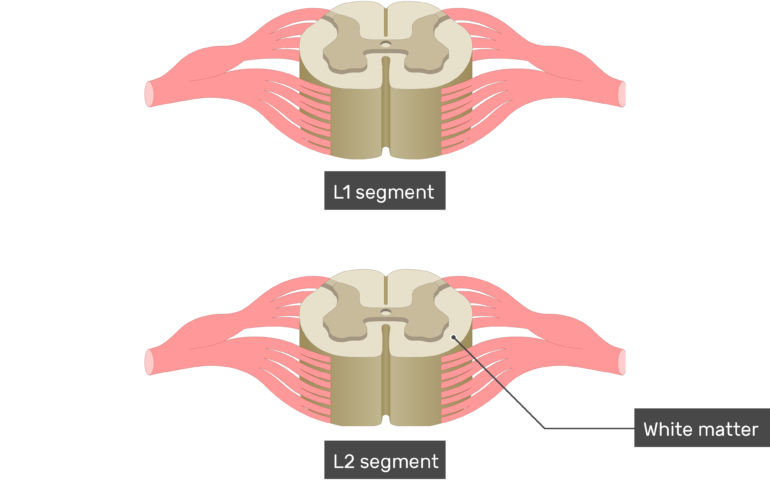 The outer zone contains many myelinated axons that run up and down the spinal cord. 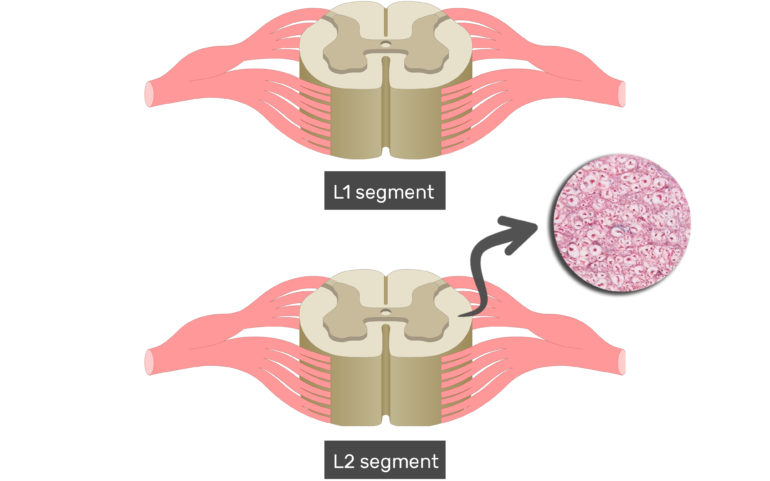 Myelin is mostly lipid and light in color. 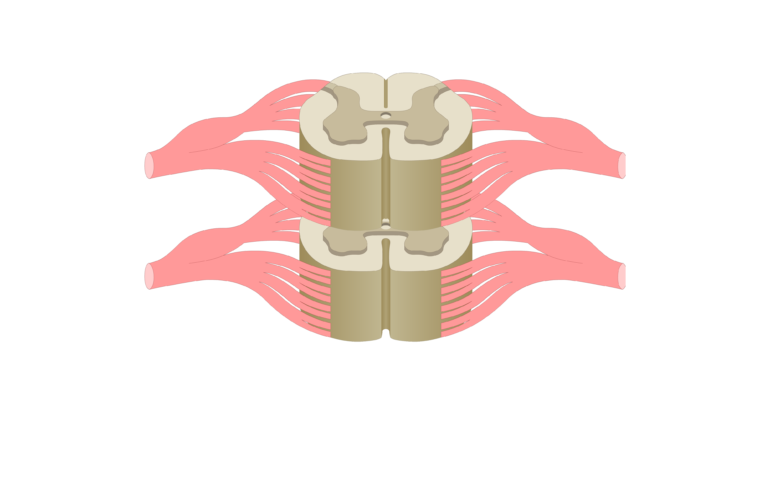 Therefore, this zone is referred to as white matter. 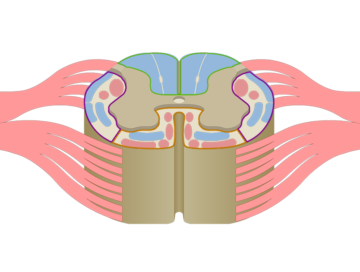 The inner zone is shaped somewhat like a butterfly (or “H”) and contains many cell bodies and dendrites. 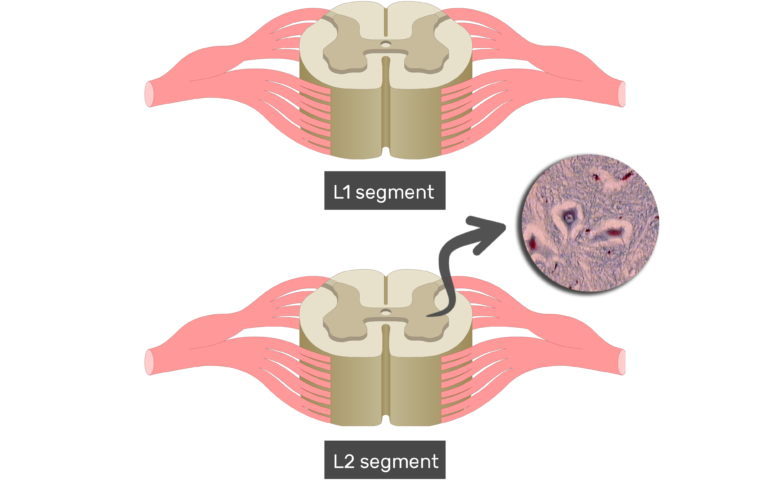 This zone lacks myelin and is darker in color. 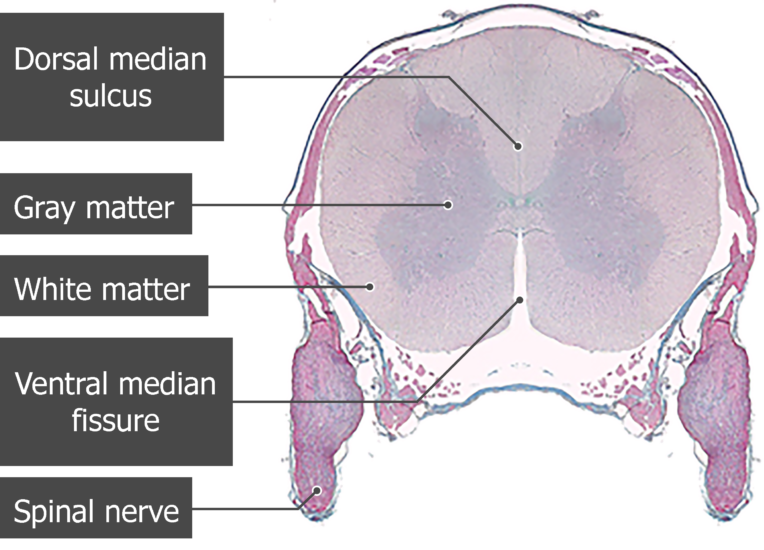 It is therefore referred to as gray matter. 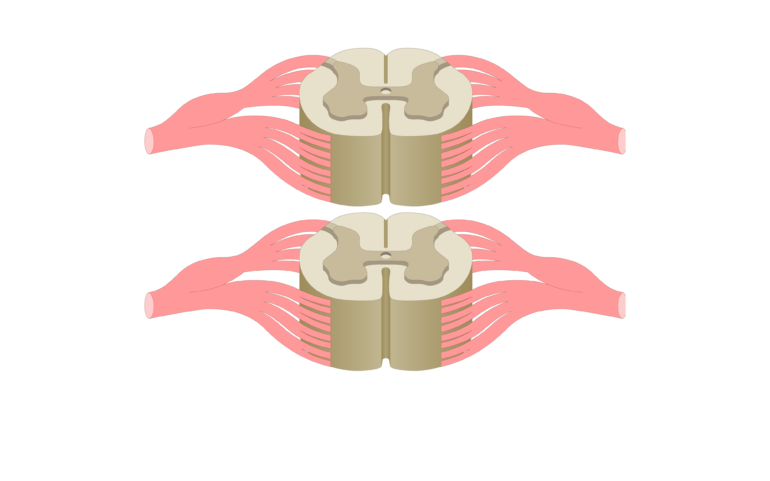 Almost dividing the spinal cord in half are two longitudinal grooves. 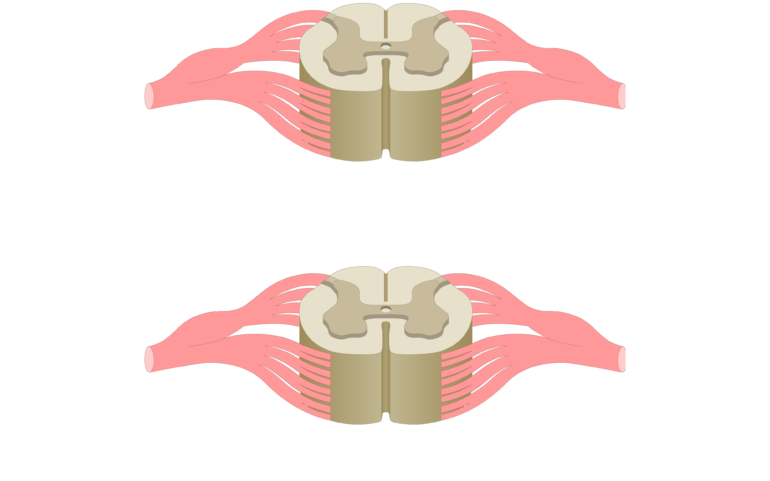 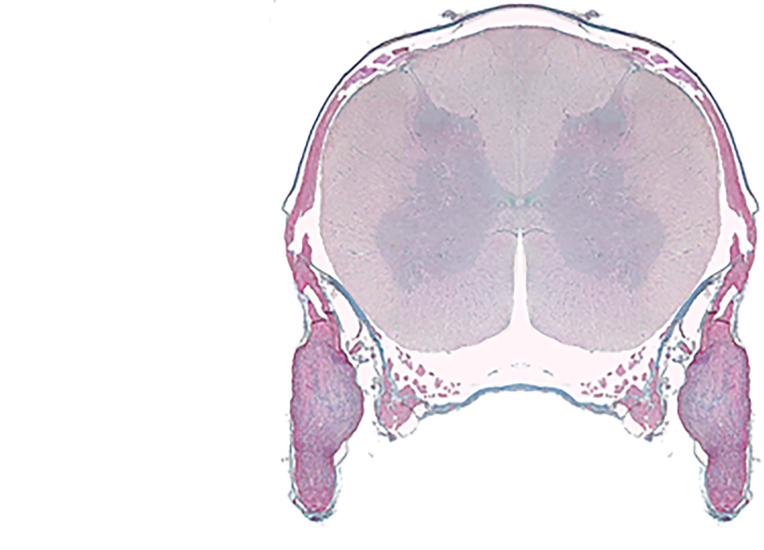 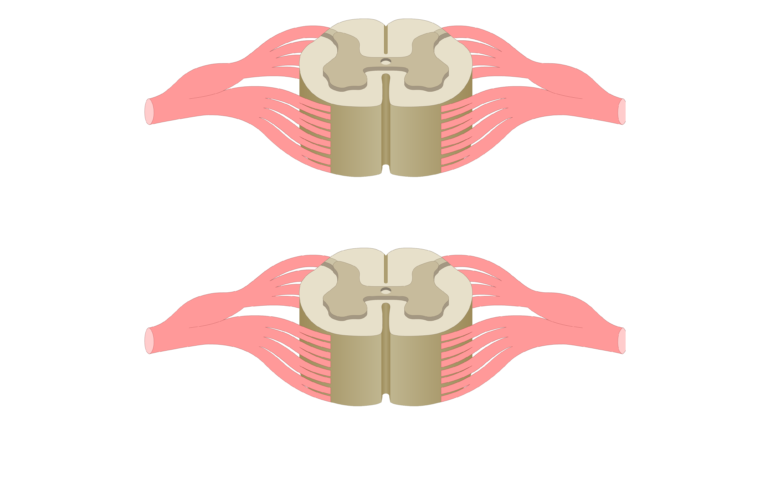 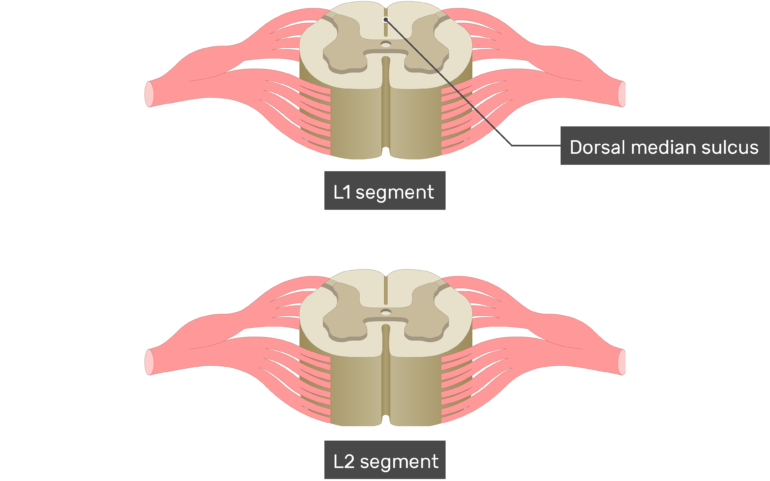 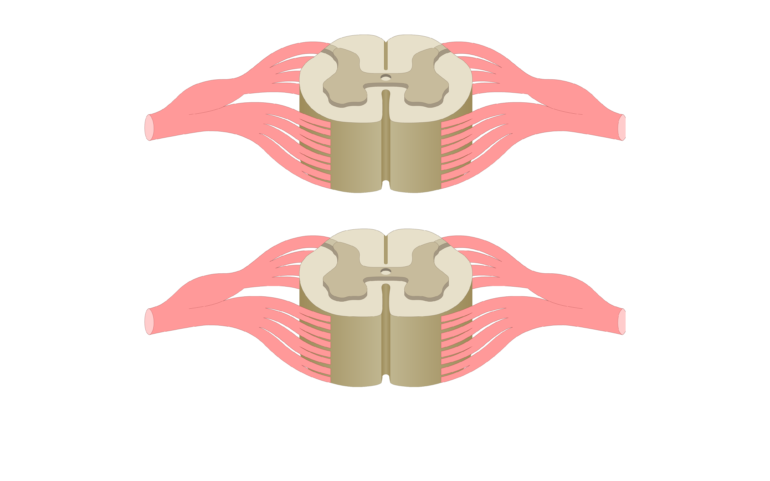 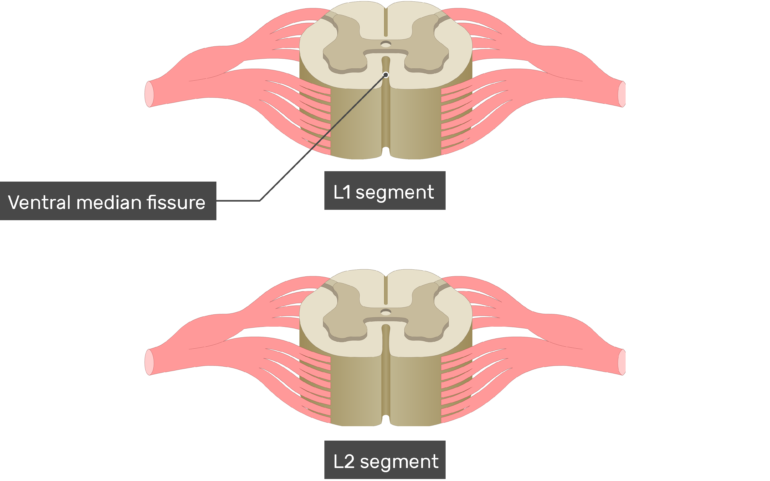 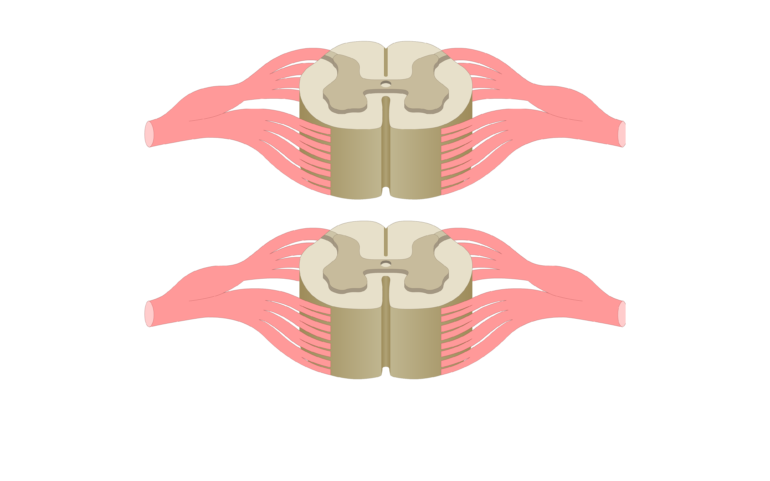 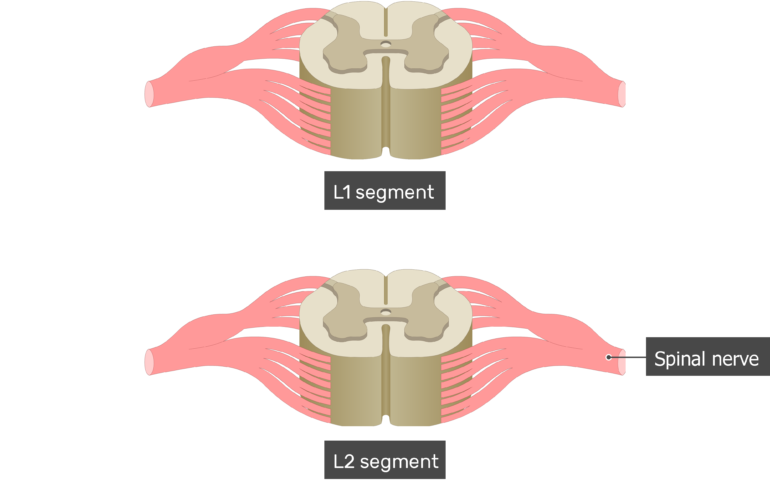 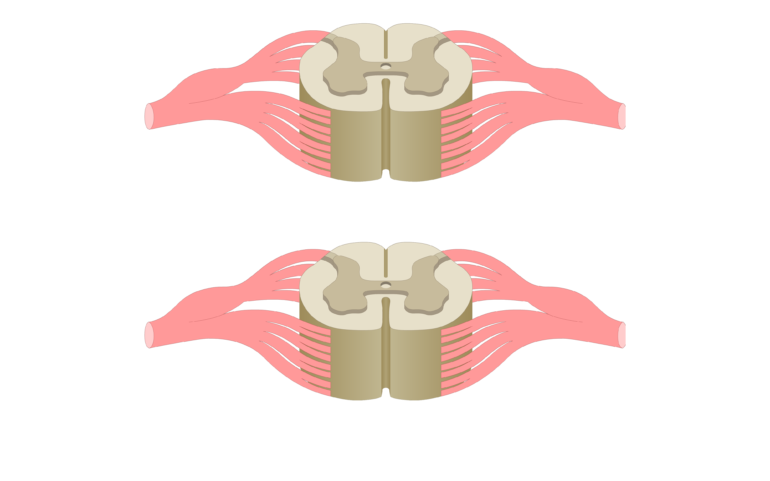 The narrow indentation that partitions the back surface is known as the dorsal median sulcus (or posterior median sulcus) and the broader groove that partitions the front surface is called the ventral median fissure (or anterior median fissure). 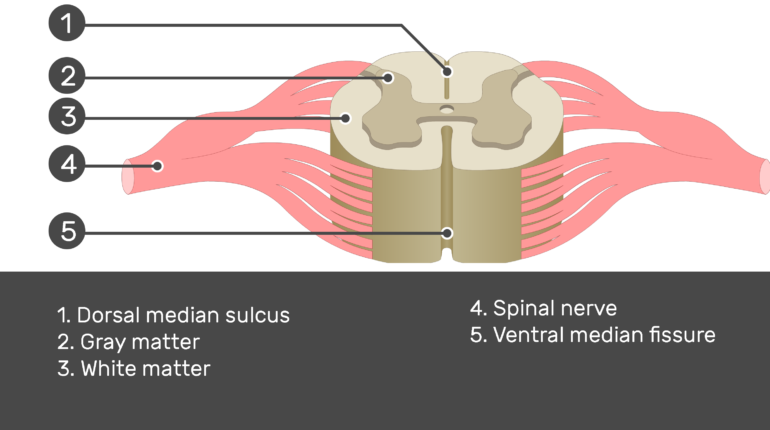 Spinal Cord White Matter (Anatomy & Functions); explained beautifully in an illustrated and interactive way. 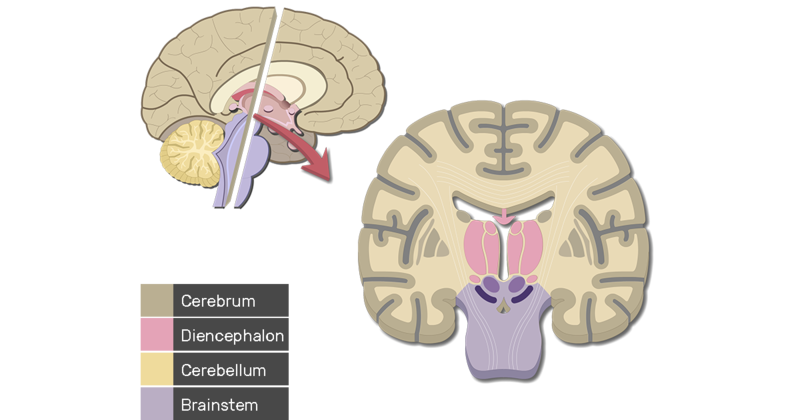 The gray matter is the area of the spinal cord where many types of neurons synapse; explained beautifully in an illustrated and interactive way.